Rajesh Pratap Singh‘s opening show focused on life in the realm of hospitals. Models dressed as patients and nurses, walked down the ramp in structured jackets, dresses and pleated skirts with black and white ginghams and graphical prints. Theatrical stints kept us glued to the act which tried to convey that laughter is indeed the best medicine. 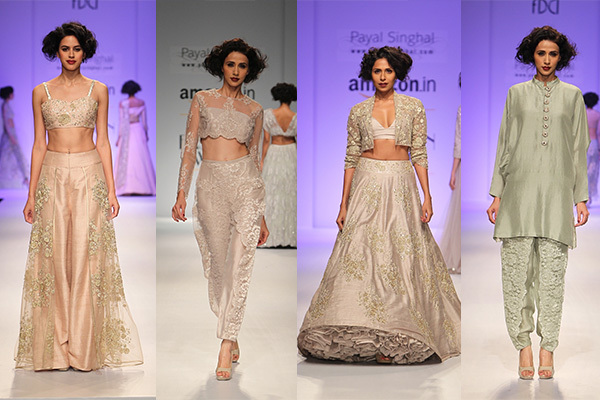 Payal Singhal’s collection brought a mix of lace embroidered and tiered lehengas, silk pallazos, crop cholis and churidar shirts. Embroidered belts anchored the regal traditional looks. 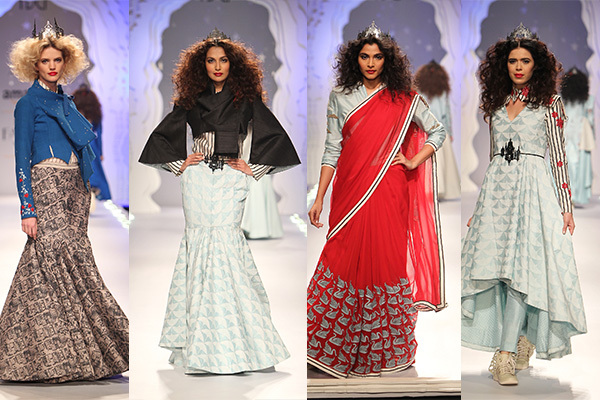 Anju Modi‘s fairytale collection saw a range of tastefully crafted lehengas and structured drapery. Models walked the ramp in winged tiaras and gorgeous brown tousled hair, adding loads of drama to each look. The final show of the day by the czar of couture, JJ Valaya, captivated the audiences with its oriental charm. 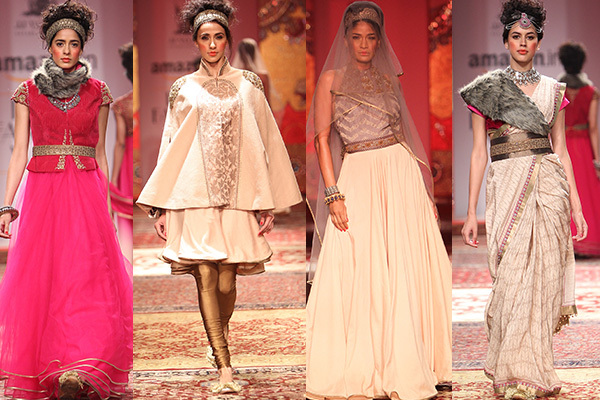 The runway, dressed in carpets saw a collection of Indo-western cultural sensibilities. Signature weaves, fine fabrics, and antique, metallic and neutral hues highlighted the grand collection.